News | Valhalla Safety | Specializing in industrial safety and training in Southern British Columbia, Canada. Specializing in industrial safety and training in Southern British Columbia, Canada. Are you looking for work? 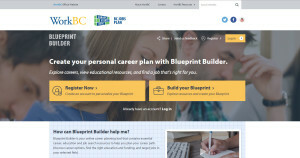 WorkBC’s My Blueprint Builder will help you explore careers, find education and funding, find open jobs. "Ron was very knowledgeable and could answer all questions that were asked. He provided good examples and had good answering techniques."